“This is Total’s second bite of the Brulpadda cherry, having suspended its previous attempt at the well in 2014 due to harsh weather. “This time around, with a more capable rig, the Deepsea Stavanger, and the weather gods smiling, there have been no such problems. (Bloomberg) – South Africa’s first deep-water discovery, reported Thursday by French oil major Total SA, may prompt a rush of activity offshore by competitors as the country works to cut its reliance on imported fuels. The Brulpadda find, estimated at about 1bn barrels by Total Chief Executive Officer Patrick Pouyanne, could be enough to supply South Africa’s refineries for almost four years. That’s a boon for a country that has always been short of oil and is running out of its scant domestic supply of gas. 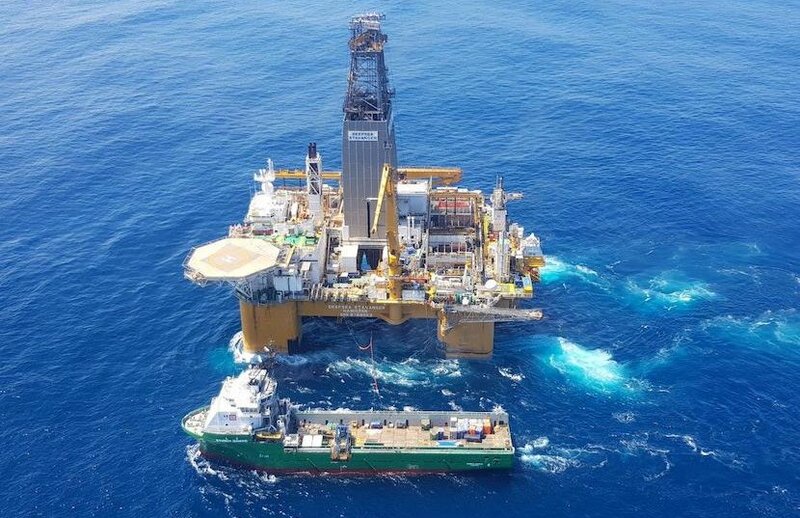 The field of primarily gas-condensate – a light liquid hydrocarbon – was discovered about 175 kilometres (109 miles) off the country’s southern coast in the Outeniqua Basin. The area, where Exxon Mobil Corp. and Eni SpA also hold stakes, may now draw further interest, especially since South Africa is due to introduce new legislation later this year aimed at spurring exploration. President Cyril Ramaphosa is seeking to lure $100bn of investments by 2023 to revive a struggling economy. The country’s energy supply is largely based on coal, while state power utility Eskom Holdings SOC Ltd. also runs turbines on costly diesel fuel. A failed exploration campaign in shallow waters has meant a gas-to-liquids refinery at Mossel Bay runs well below capacity. Total has a 45% working interest in Block 11b/12B, Qatar Petroleum holds 25%, CNR International 20 percent and Main Street, a South African consortium, 10%.